See you at NFMT 2019! 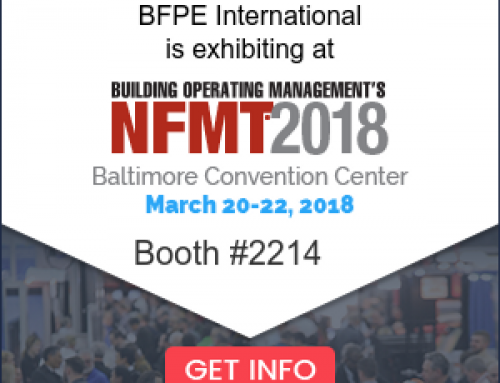 BFPE International is exhibiting at the 2019 NFMT Symposium and Expo in Baltimore. Please stop by our booth, 2106, to discuss Total Fire Protection. For free registration, go to Baltimore NFMT FRIEND and use code FRIEND2019. If you are unable to join us, please contact us for more information. 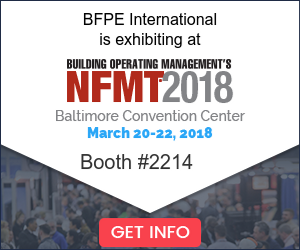 See you at NFMT 2018!